Therapies tailored to individual tumours must not be oversold. Cancer specialist Leonard Saltz received a letter earlier this year from someone who had watched a television programme about the promise of ‘precision oncology’. A patient had taken a few pills and seen his tumour disappear, the letter said. Could the same be done for his sick father? It’s not unusual for the promise and perception of new cancer treatments to run ahead of the reality. And it’s true that precision oncology is promising. The practice — which relies on finding weak spots in a particular tumour’s genetic make-up that can be targeted by drugs — is growing, and new results feature strongly this week at the annual meeting of the American Society of Clinical Oncology in Chicago, Illinois — cancer medicine’s biggest annual meeting. But talk of potential benefits must be tempered by clinical reality. Over the past decade, advances in genomic sequencing and analysis have yielded a steady stream of information about the genetic mutations that can drive cancer. The studies have revealed that even cancers of the same type, such as breast tumours, can be very different genetically. From that has grown the hope that drugs can be tailored to a tumour’s genetic anomalies, resulting in a treatment with, ideally, fewer side effects and greater efficacy than conventional therapies. A handful of such drugs are already on the market. One, Herceptin (trastuzumab), has already increased survival rates for women with particular types of breast cancer. This model of precision oncology is now at a turning point, as some of the long-anticipated changes to cancer care work their way from bench to bedside — ones that would allow precision oncology to be scaled up. In the past year, the US Food and Drug Administration has issued its first approval of a genetic test that can detect mutations in hundreds of cancer-associated genes. Also a first, the agency approved a drug for the treatment of any solid tumour bearing a particular genetic signature, regardless of what tissue the tumour originated in. Health services around the world are talking up the role of DNA and genomics in a new era of personalized medicine. But the utility of increasingly expensive cancer tests and medications that will help only a minority of patients is also being fiercely debated. Some 30 or so cancer drugs have so far been linked to a specific genetic signature. Many people have benefited, but some will relapse later as their tumours become resistant to the therapy. Against this backdrop, clinicians are left facing ill people and trying to work out what to do. Whose tumours should be sequenced, and when? How often should one patient’s tumour be sequenced? What kind of sequencing should be done — 50 genes, 400 genes, a full genome? How should physicians interpret genetic variants and conflicting data? And over it all hangs the painful question that health-care systems everywhere must grapple with: at what point does the potential for benefit outweigh the cost of sequencing and the treatment that follows? Researchers can help to pave precision oncology’s path to the clinic. More research on cancer genetics might reveal roles for as-yet-unexplained genetic variants. Such studies would also help researchers to unpick the effects of combinations of genetic variants, a consideration that is likely to become more important as clinicians sequence larger sets of a tumour’s genes. Also useful is the growing emphasis in cancer research on testing targeted therapies in combination with one another, and together with drugs that provoke immune responses to cancer. From a clinical perspective, better and more-thorough screening should identify the people most likely to benefit. Precision oncology increases the range of treatment options — but so far for only a relatively small number of people. Yet clinicians say that media reports of miracle cures have painted a much rosier picture, fuelled by anecdotes about exceptional responders who experience dramatic, but highly unusual, responses to treatment. In the United States, the problem is compounded by advertisements — from pharmaceutical companies and treatment centres — aimed directly at people with cancer. Enthusiasm for the possibilities of precision oncology has led too many involved to present the option with too much optimism. 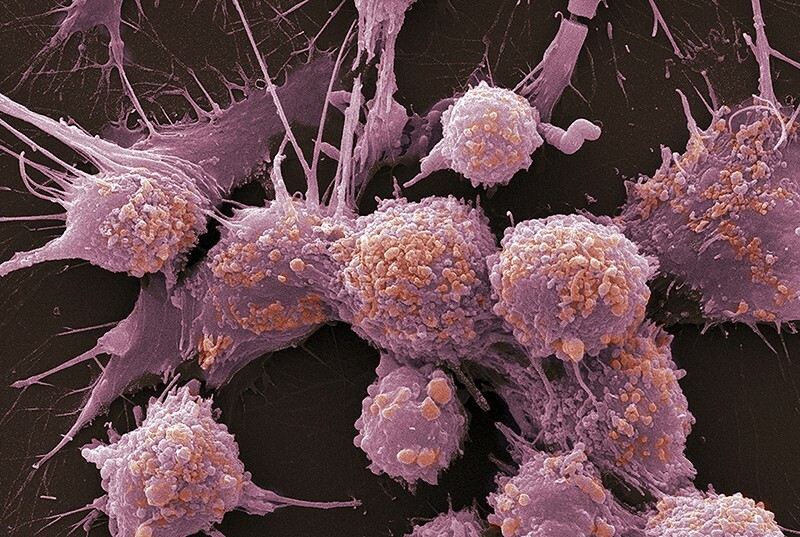 By its very nature, each precision cancer drug is destined to help only a fraction of people. Everyone with cancer wants, understandably, to be in that fraction. Hope is important. But all parties need to be sensitive to how the promise of precision medicine is communicated to patients — and to their physicians.